Tickets for the food and drink extravaganza of the year - 'Ainsley at Dunrobin' - are on sale and organisers are encouraging galloping gourmets to get their tickets fast to avoid disappointment. Celebrity chef, Ainsley Harriot - star of television programmes such as 'Ready, Steady Cook' and 'Ainsley's Meals in Minutes' - is going to be cooking up a storm at Dunrobin Castle, Golspie on Thursday 2nd October. Part of the Highland Food and Drink Festival, 'Ainsley at Dunrobin' will feature a showcase of local produce from 2pm, followed by cookery demonstrations by Ainsley at 3pm. The top TV chef will also be responsible for planning the menu for a gourmet dinner in the evening, which will be cooked by chefs from the Marine Hotel in Brora with help from Modern Apprentice chefs and Skillseekers from throughout the north. 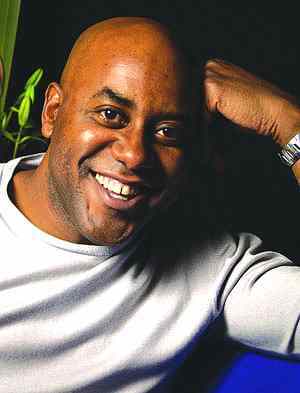 The menu for the dinner will feature local produce and recipes from Ainsley's new cookbook - which will be launched on 9th October - and is set to round off a day of fantastic food and delicious drink. The event, which is supported by Caithness and Sutherland Enterprise (CASE) and Ross and Cromarty Enterprise (RACE), is the first of its kind in the area and aims to encourage greater use of local produce and to promote the food and drink industry as an attractive career path for young people. Modern Apprentices and Skillseekers working in the industry locally are playing an important role in 'Ainsley at Dunrobin'. As well as helping professional chefs prepare the gourmet dinner, the students will be also be preparing food for Ainsley's cookery demonstrations. Susan Smith, senior development manager at CASE said: "This event is set to be a real attraction for locals and visitors alike and will be a boost for the area's food and drink producers. "However the core reason for hosting 'Ainsley at Dunrobin' is to inspire young people to enter the industry and for those Skillseekers and Modern Apprentices taking part on the day, to give them the opportunity to learn from one of the most famous chefs in the country." 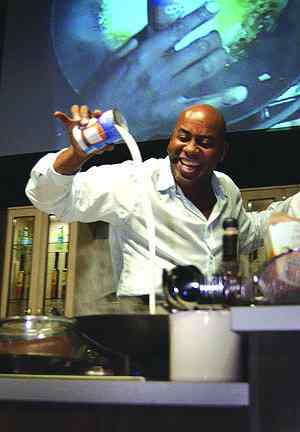 Celebrity chef and the star of television programme 'Ready Steady Cook', Ainsley Harriot is set to stun the far north with his culinary skills when he visits the area in October. As part of the Highland Food and Drink Festival, Caithness and Sutherland Enterprise (CASE) and Ross and Cromarty Enterprise (RACE) have committed �,500 each to stage 'Ainsley at Dunrobin' on Thursday 2nd October. The event at Dunrobin Castle, Golspie is set to consist of various, delectable attractions including cookery demonstrations by Ainsley, a local producers showcase and a gourmet dinner in the evening for 150 paying guests. The event is the first of its kind in the area and organisers hope that 'Ainsley at Dunrobin' will encourage greater use of local produce and promote the food and drink or catering industry as an attractive career path for young people. Ainsley's appearance as part of the Highland Food and Drink Festival will also give locals and visitors an exclusive preview of the top chef's new book 'All New Meals in Minutes' which is published on the 9th October.